Step 4 is just some quick tips on how to write these messages within your text message campaign. Some power tips here don't exceed 140 characters. Make sure that all your messages are 140 characters or less which isn't a lot. is but basically it takes a long you are ill and it makes it super small so it doesn't take a lot of characters up. And also just some things that are that we've noticed that are very powerful if you put YouTube video and a text message. The phones are smart enough to know that that's a video and so it actually pulls the entire video into the text message. So a great piece of content for text message marketing is actually video. So if you create short videos of information those sorts of things people will actually literally see the entire video in their text message and be able to click and watch it right there. That can be super powerful as well. So think about these things as you write those messages keep them short keep them sweet. 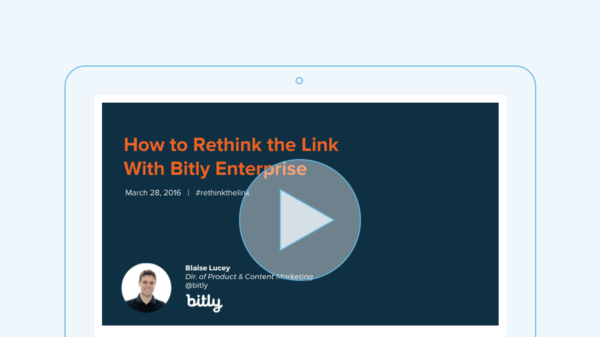 Use your shorten URL and use videos and you'll see some better results. Step number 3 once you've thought through step one the ideas and things that you're going to be sending and step two where you're going to get this in front of people is you need to be ready to go. text in like marketing to (786)292-3084 go ahead try it. Let's say to opt in you're going to have your own keyword too. So this is what you're gonna want to use within your marketing material. When you set up your account make sure that you set it up so that you can segment your list and what not. Maybe you might want to segment your list if you're in e-commerce store by people that like men's products versus people that like women's products for example. You can do these types of things in the AMS Command Center when people opt in. So set that up. And also power tip here. Setup an automated message. So when somebody opts in they instantly get a message right away that adds some value so they don't opt in and then it's just like wait you know until something comes at some point give them something right away. So as soon as they opt in even if it's just to tell them what they're going to receive and thank them for opting in. Oh hey thanks for opting We'll make sure to send you an alert that classes can't be canceled tell them what they got right or if it's an e-commerce store in somebody's office and instantly say hey thank you for opting in as appreciation for doing that. Here's a quick 10 percent off coupon code right now. Right. Here's a quick 10 percent off coupon code right now. Right. Give him that instant gratification for opting in so they feel good about it. Now they're locked and loaded and ready to go in the future. So when you set up your account you can get all these things set up ahead of time so that you're ready to go. So make sure you do that as part of Step 3.
motivating them to opt in. It could say something like text whatever your opt in number is and keyword is to enter into our list to get a VIP promotions on slow days or coupons on hot events that we're doing something like that something that based on the content that you want to send you'll know what these call to actions need to be. So now it's about getting an in front of people. Right. Social media posts social media ads asking people to opt in. Send e-mail blasts out to your followers asking them to opt into your AMS Text Marketing lists and what they're going to receive when they do that right. Social media posts social media ads asking people to opt in. Send e-mail blasts out to your followers asking them to opt into your AMS Text...Social media posts social media ads asking people to opt in. Train your people to ask for it whether it's a front desk person somebody in the field. To ask people to opt into these lists and what they're going to receive for doing that. The thing is if you really thought step one and there's tremendous value there people are going to be more than interested to opt into your list because you're providing them information that they need right. If I'm a dance school and I want to get alerts when classes is canceled I need to opt into the list. Why wouldn't I do that right. Why wouldn't I do that I would do that and all of these scenarios everybody else would too. If I'm a dance school and I want to get alerts when classes is canceled I need to opt into the list. Why wouldn't I do that right. Why wouldn't I do that I...If I'm a dance school and I want to get alerts when classes is canceled I need to opt into the list. So the question is how do you get in front of people. Because the thing is if you have all these beautiful AMS Text Marketing Campaigns built all these unbelievable deals but nobody's on the list that's completely useless.